MS Dhoni has remained unbeaten 19 times in a successful chase in the league. 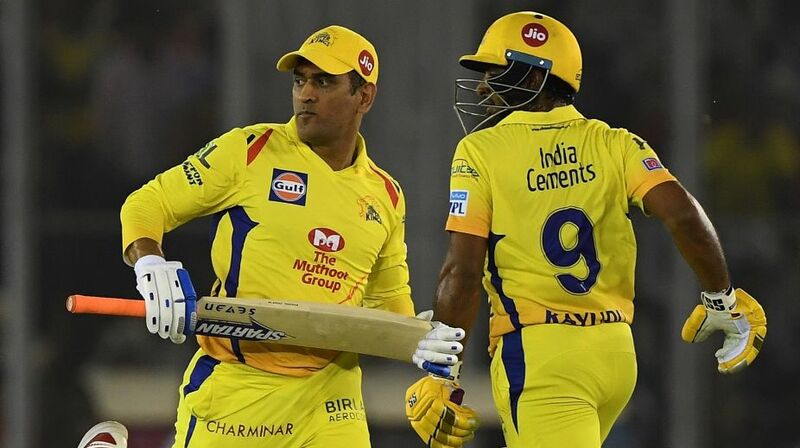 In the 56th match of the Indian Premier League (IPL), Mahendra Singh Dhoni’s Chennai Super Kings knocked out Kings XI Punjab from the play-offs race. CSK took on Preity Zinta co-owned KXIP at the Maharashtra Cricket Association Stadium in Pune on 20 May, Sunday. 1- On Sunday, CSK skipper took his dismissals tally to 216 and became the first ever wicket-keeper batsman to do so in T20 cricket. The previous record was held by Kamran Akmal, who has 215 dismissals to his credit. 2- Former Indian skipper MS Dhoni had taken 144 catches in T20 – highest by any wicket-keeper batsman. Sri Lankan great Kumar Sangakkara held the previous record with 142 catches. 3- On Sunday, Suresh Raina registered slowest T20 half-century of his T20 cricketing career. Raina took 45 balls to reach the landmark of 50 runs. 4- Chennai Super Kings all-rounder Suresh Raina scored his 50th fifty-plus score in the shortest format of the game, and became fourth Indian to achieve this feat. Indian skipper Virat Kohli (60), Rohit Sharma (55) and Gautam Gambhir (53) are other three players. 5- On Sunday, MS Dhoni completed his 4,000 runs in the cash-rich league and become the seventh player to do so. RCB skipper Virat Kohli (4948), Suresh Raina (4931), Rohit Sharma (4493), Gautam Gambhir (4217), Robin Uthappa (4124) and David Warner (4014) have also scored 4000 runs in IPL. 6- MS Dhoni has remained unbeaten 19 times in a successful chase in the league. He jointly holds the record with Ravindra Jadeja.